PHILADELPHIA – Unnecessary emergency department visits and hospitalizations are debilitating for patients with cancer and far too common – and costly – for the United States health care system. 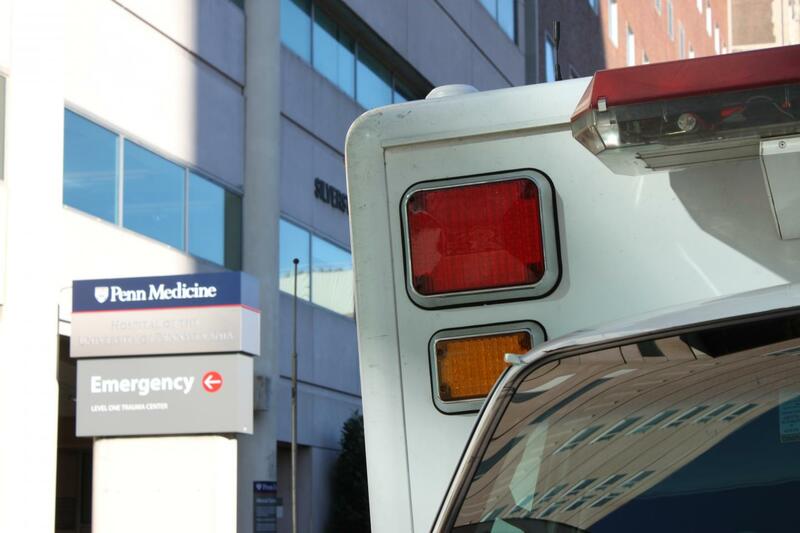 To reverse the trend, researchers at the Abramson Cancer Center, the Leonard Davis Institute of Health Economics, and the Wharton School, all at the University of Pennsylvania, have identified the five best practices to reduce unnecessary emergency department (ED) visits and hospitalizations, which they call "unplanned acute care." Taken together, these strategies are the playbook for cancer centers and hospital seeking to improve health care quality in oncology. The five strategies are: 1) identify patients at high risk of unplanned acute care; 2) enhance access and care coordination among health professionals; 3) standardize clinical pathways for symptom management; 4) develop urgent cancer care tactics, and 5) employ early palliative care. Researchers published their findings and recommendations this month in the Journal of Oncology Practice. Unplanned acute care for patients with cancer is a major driver of unnecessary health care utilization and cost in the United States. The total cost of cancer care in the U.S. is projected to hit almost $160 billion by 2020, up from $125 billion in 2010, a number that includes great regional variation in spending-per-person. Acute cancer care accounts for 48 percent of all spending and 67 percent of per-capita variation. Medicare has initiated the Oncology Care Model partly to help reduce unplanned acute care for Medicare beneficiaries with cancer and will soon release an important new measure that could ultimately affect hospitals' outpatient Medicare payments. "We endorse these five strategies as most promising to reduce unplanned acute care for patients with cancer, whether implemented separately or, with possibly more success, as an integrated program," said the study's lead author Nathan R. Handley, MD, a Hematology Oncology fellow in Penn's Perelman School of Medicine and an MBA candidate at the Wharton School. Handley led this exhaustive review of research, evidence, and quality guidelines on reducing unnecessary ED visits and hospitalizations and an evaluation of selected care delivery models. The research team then categorized and assessed each of the five strategies based on outcomes such as reductions in ED visits, hospitalizations, and rehospitalizations within 30 days, and defined gaps in knowledge for future study. "These recommendations put the patient at the center of how we give cancer care by leveraging advanced big data analytics, team-based care, alternative care settings, and care pathways," said Justin E. Bekelman, MD, an associate professor of Radiation Oncology and Medical Ethics and Health Policy, and a senior fellow in the Leonard Davis Institute for Health Economics. "Together, these strategies help avoid the need for the emergency department or hospital in the first place or target our highest-touch resources to those at highest risk of experiencing an emergency visit during cancer treatment." Penn Medicine and the Abramson Cancer Center are using some of these strategies with promising results. For example, the Abramson Cancer Center has developed new pathways that divert cancer patients from the ED to a more specialized urgent care clinic. Research shows more than half of cancer patients who show up to the ED are admitted to the hospital, often during normal clinical hours. As an alternative, the researchers recommend developing sites that give these patients an alternative to seek care. "We've seen excellent results with this approach here at Penn with our Oncology Evaluation Center, an urgent care-type clinic specifically for our cancer patients," said study co-author Lynn Schuchter, MD, chief of Hematology Oncology. Other recommendations are underutilized throughout cancer centers in the U.S. For example, the researchers say that while treatment goals and end-of-life planning are an expected part of the conversation for patients with life threatening illnesses like advanced cancer, these conversations often occur too late. "While patients are hearing more and more that these conversations should happen early, we still see many cases where this doesn't happen until after patients are already in the hospital due to complications that could be devastating," Handley said. "The oncology community would benefit from more robust training and new efforts to initiate palliative care planning earlier in the course treatment." Schuchter says this training is also already ongoing at Penn. The researchers also say that because of the large investment required to implement these recommendations, further research and evaluation is needed to identify the optimal strategies for different types of care settings and cancer centers. "These strategies will improve patients' experience with their cancer care, but they are not only good for patients," Bekelman said. "Health care providers should move in these directions now, especially as new payment models for health and medical care amplify the need for cancer programs to focus on reducing unnecessary emergency department visits and hospitalization." The Perelman School of Medicine has been ranked among the top five medical schools in the United States for the past 20 years, according to U.S. News & World Report's survey of research-oriented medical schools. The School is consistently among the nation's top recipients of funding from the National Institutes of Health, with $405 million awarded in the 2017 fiscal year.